This morning, I have an inspirational romance series in our book spotlight. 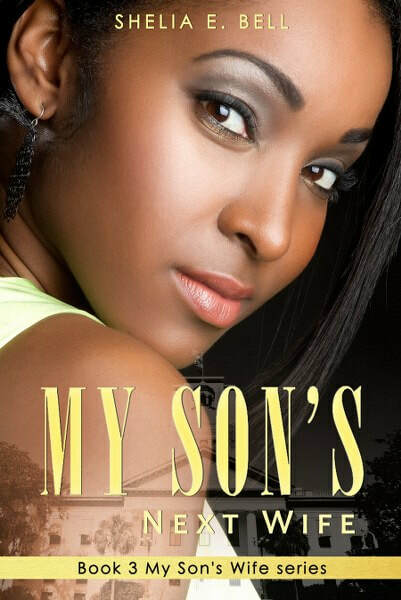 Check out the books of the My Son's Wife series, learn about the author and enter for a chance to win a prize in the book tour giveaway at the end of this post. First Lady Audrey Graham believes she's found the perfect woman to become her eldest son, Minister Stiles Graham's wife. Sweet, sensitive, kind, and of course a fine Christian girl, Audrey couldn't ask more of lovely Rena Jackson. But skeletons fall from the closet when Audrey and Stiles discover that Rena is in love and committed to the troubled, rebellious, ex-con, Frankie. 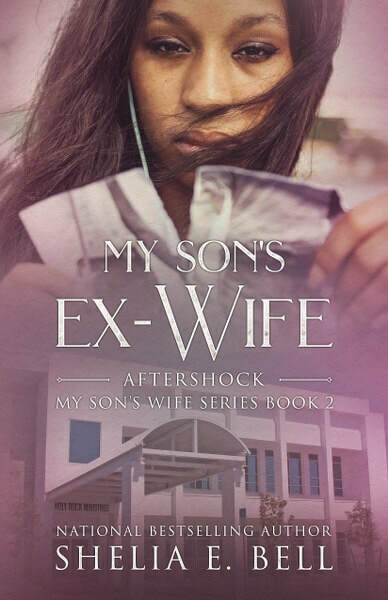 My Son's Wife is more than a love triangle, it's a time bomb set to explode with twists, turns, entanglements and sinful revelations that only a loving God can make right. The story of the Graham family continues in My Son's ex Wife. First Lady Audrey Graham is more than relieved when Stiles encounters the young, vivacious nutritionist Detria Mackey. Rena is equally captivated by recent divorcee, Robert Becton. Does the handsome, science teacher Robert Becton possess what Rena needs to give her life a much needed jump start? When Rena returns to Memphis for less than pleasant reasons, Stiles and Rena realize they still have deep feelings one another, but will their feelings overcome the past that severed their relationship? Will Audrey manage to come between them again or will other circumstances intervene that will give them cause to rethink their past and move forward to the future. First Lady Audrey Graham is gone and her husband suffers from loneliness and the after-effects of his second stroke. Their son, Stiles, now minister of his father’s church, is engaged to Detria and has found happiness at last—despite his heartbreaking divorce from Rena. Rena’s now living in another state and has found a new love herself, Robert, though she resists his marriage proposals because she doesn’t feel she could ever be completely forgiven for her past sins. Things take a turn for the worse when Stiles’ father suffers another stroke and Detria has a miscarriage. Stiiles' faith is tested like never before. But who knows in whose arms he will land up in Book 3 in the page-turning My Son’s Wife series! 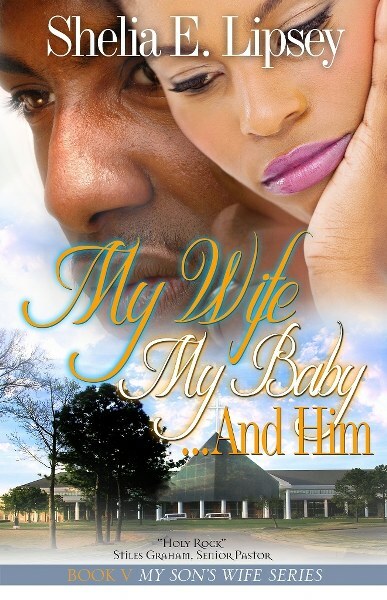 The 4th installment in the My Son's Wife series, and Stiles Graham is the proud father of a little girl by his wife, Detria. Although he loves his role as daddy, he doesn't act so happy when it comes to his role as husband. His mind continues to have thoughts about his ex-wife, Rena who seems to have moved on with her life in Andover, Massachusetts with none other than Robert Becton. Stiles is further stunned beyond belief when he uncovers secrets that have been hidden away for years about the Graham family. 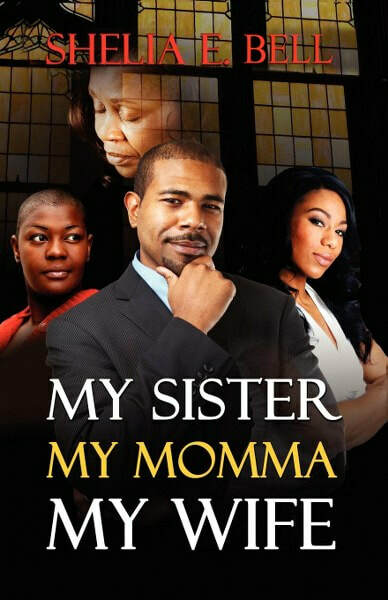 In his search to heal the wounds of the past, he is hit with the truth about his very own mother, his one and only sister, Francesca (Frankie) and his new wife, Detria. What does a man of God do when the enemy pulls out all stops to destroy everything that he has believed in, including God's mercy and grace. 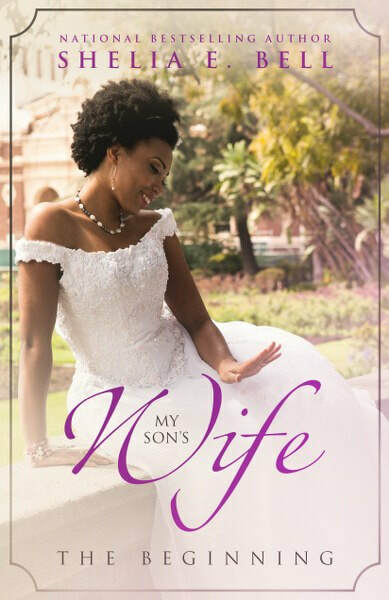 In the fifth installment of the My Son's Wife series, Senior Pastor Stiles Graham and First Lady Detria Graham s marriage is rapidly falling apart, thanks to her adulterous ways. Stiles had hoped and prayed that the time they spent away from Memphis would make their marriage stronger, but after just months from returning from Myrtle Beach, Stiles questions whether that is truly the case.When whats done in the dark comes to light, and Stiles discovers that Detria is cheating on him with his good friend, Skip Madison, the marriage quickly unravels. This startling revelation brings out the worse in Stiles Graham, and leads to his eventual downfall. During the midst of it all, Detria learns that she is pregnant. As much as she wanted to steer clear of Skip Madison and give her marriage to Stiles a fighting chance, her heart says something different. Now she finds herself worried about who is the father of her unborn child. Turmoil, trouble, deception and disaster infiltrate this marriage, and much is at stake, including Stiles pastoral position at Holy Rock. 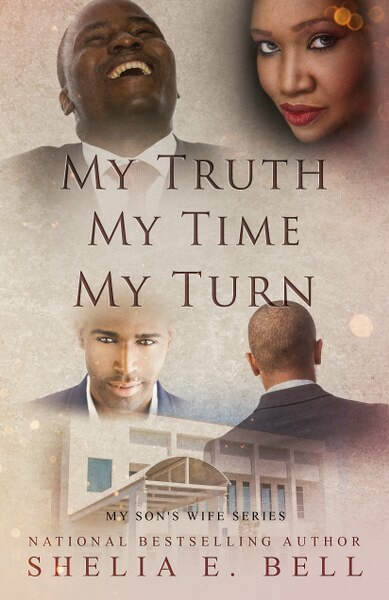 When tragedy strikes this already dysfunctional marriage, it sends life, as they know it spiraling down a never-ending tunnel of hurt, anger and grief, leaving both Stiles and Detria questioning their faith and belief in God to restore their lives and relationship. It's been two years since Hezekiah McCoy became the senior pastor of Holy Rock, and Hezekiah, First Lady Fancy McCoy and their sons are certainly shaking things up. Frequent and lavish vacations, a new and much larger house, and what seems like a never ending flow of cash, the McCoys are enjoying the tremendous favor of God, or could there be some other reason for their rapidly growing success? Dem McCoy boys are rocking Holy Rock! The young handsome, charming, debonair Khalil McCoy is the new senior pastor and his fresh out of the closet brother, Xavier, is Financial Administrator and Youth Director. 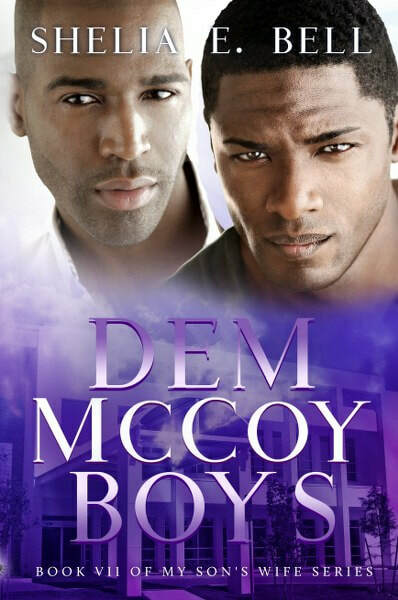 The McCoy brothers have no limits or filters and set a new record for stirring up drama. 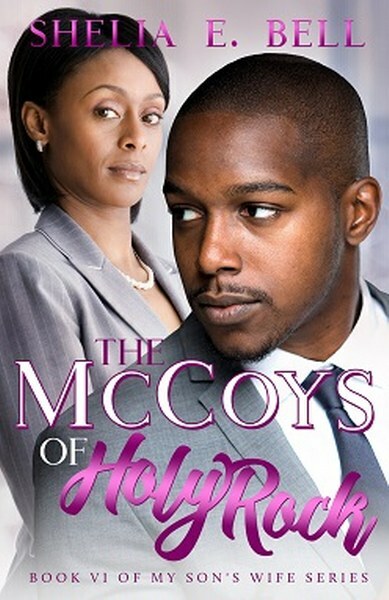 Find out what’s really next for the McCoys, for Holy Rock, but especially for Dem McCoy Boys! The saga of the McCoys and Grahams of Holy Rock continues. Stiles must decide if he will return to the pulpit he once graced. 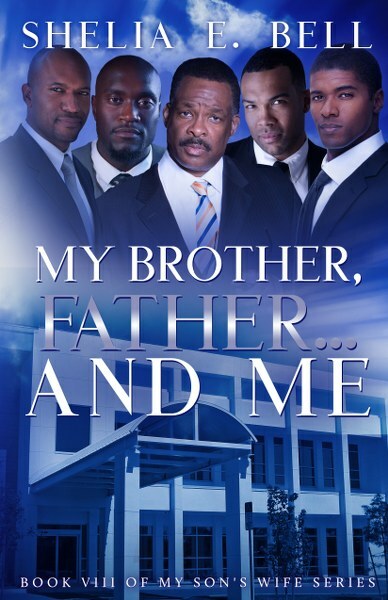 Pastor yearns to have a relationship with Hezekiah, while Khalil and Xavier have a personal vendetta against their father and will do just about anything to destroy his ministry…and his life. Hezekiah finds it impossible to unite with the man he discovered is his father and the brother he refuses to accept. Who will be left standing? The McCoys and the Grahams try to work together as Stiles makes a decision whether or not to return to Holy Rock. Hezekiah shows a softer side (or does he really), while Khalil makes it evident the apple doesn't fall too far from the tree. Xavier continues to war against his flesh but will Pepper be able to help him win the war? So much intense drama in this next installment of the My Son's Wife series. Shelia E. Bell (formerly Shelia E. Lipsey) is an award-winning, national bestselling author with 20+ books published in christian fiction, women’s fiction, nonfiction, and young adult genres. Her books have garnered numerous awards and accolades, including 2017 Christian Literary Readers' Choice Award, 2015 Rosa Parks Award, 2014 Christian Literary Award, AAMBC Nate Holmes Honorary Award, Kindle Award, OOSA Book of the Year, numerous SORMAG awards and more. 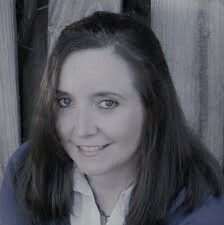 Shelia began her publishing career in 1999. Since then, she has set the literary industry ablaze with her dynamic, true to life stories that she calls "perfect stories about imperfect people like you...and me." 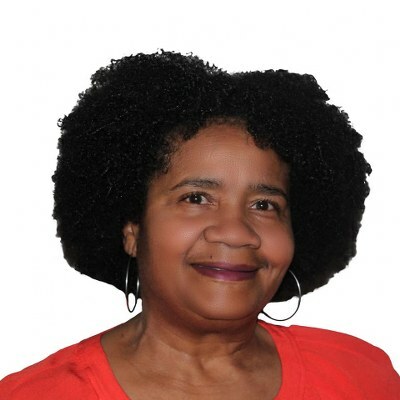 Shelia is passionate about helping others and encourages and promotes people to ‘live their dreams now.’ In 2012, she founded and non profit organization "Black Writers And Book Clubs (BWABC) Literacy Association" with a mission to promote literacy one community at a time. 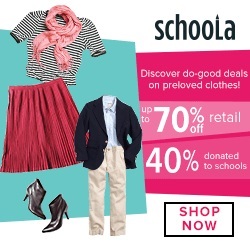 Shelia is also a well-respected freelance book editor. A much sought after inspirational speaker, Shelia travels near and far sharing her inspirational messages of how to overcome the adversities of life. Having had polio since the age of two, she accepts no excuses and is determined not to let her physical imperfections keep her from her life’s purposes. 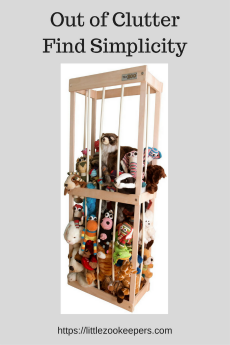 Thank you for hosting me on your blog today! Love, heartbreak, success and sorrows seems to go hand in hand. I love it. I like the book covers.